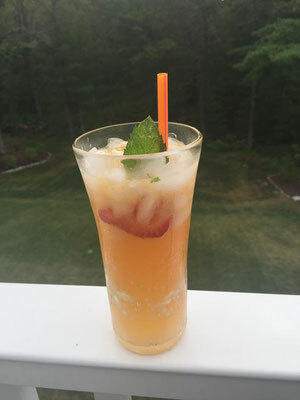 Muddle strawberries and mint in shaker, add ice, juice, and cognac. Shake for at least 1 min. Strain into tall glass filled 2/3 with crushed ice. Top off with Ginger Beer. Garnish with mint and strawberry.